An anchor channel is a fixing equipment used in concrete elements, it is easy to use, saves time and is economic. Fix the anchor channel on the mould, place the concrete and use a T-bolt to fasten your construction. The foam filler in the anchor channel prevents concrete in the channel. – High degree of corrosion protection due to stainless steel or hot-dip galvanized design offered. – The National Building Materials Test Center has done tensile tests of our anchor channels, we can provide the test report on request. – The quality and safety is one of the most important topics for us. So we check our products strictly. For raw material, we not only do the dimensional inspection, but also load tests. During the production, the quality department will test our products constantly. All tests are executed according to European standards. 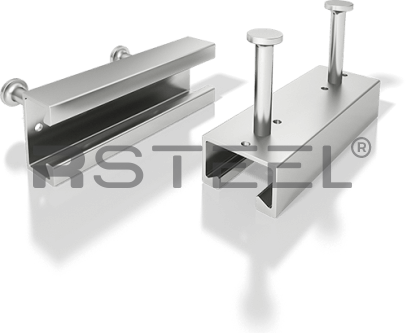 RSTEEL® ensures that every product has the required application and security needs. – Adjustable fixing place, safe installation, no welding, no drilling offered. An anchor channel is a fixing equipment used in concrete elements, it is easy to use, saves time and is economic.